Adding the checkout functionality to Instagram was only a matter of time. While the popular social network was initially introduced with no commercial features, the ad business was added at a certain point of its existence, providing Instagram owners with a massive flow of revenue. We’ve also got used to product tags that dramatically improve shopping experience within the app. However, no other steps have been taken in this direction to leave the social network uncommercialized. But the recent announcement of Instagram Checkout will change the way we used to think about the photo-sharing app. And the new improvement is quite intriguing from the perspective of Magento. Therefore, we describe the new functionality as well as shed light on the Magento 2 Instagram integration below. Open one related to a product you want to buy. You are redirected to a product page. Note that the “View on Website” (1) button is replaced with “Checkout with Instagram.” Configure product options: color (2) and size (3). If it is your first purchase, enter your contact details. Choose your payment method and determine payment information, which is stored for future purchases. Now, you can review details and place your first order on Instagram. 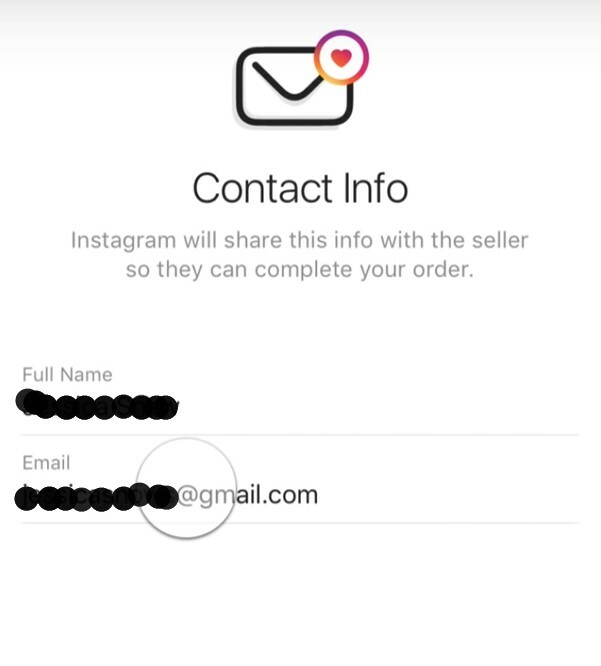 The idea behind Instagram Checkout is brilliant: as a customer, you no longer need to log in and enter your information multiple times on different websites or apps. Everything is available right in your favorite photo-sharing application. 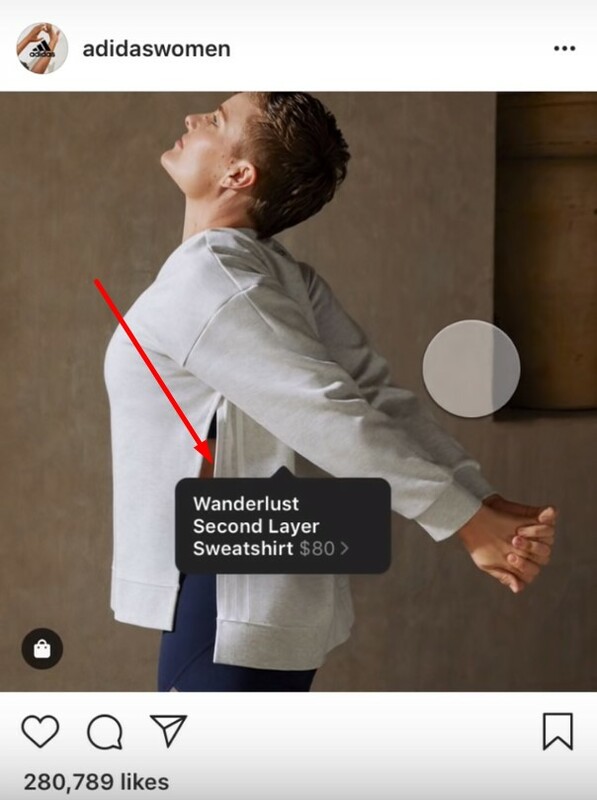 Does it mean that Instagram will replace e-commerce websites like digital stores are replacing brick-and-mortar ones? Of course, not! However, Instagram will gain more influence as a potent e-commerce tool. 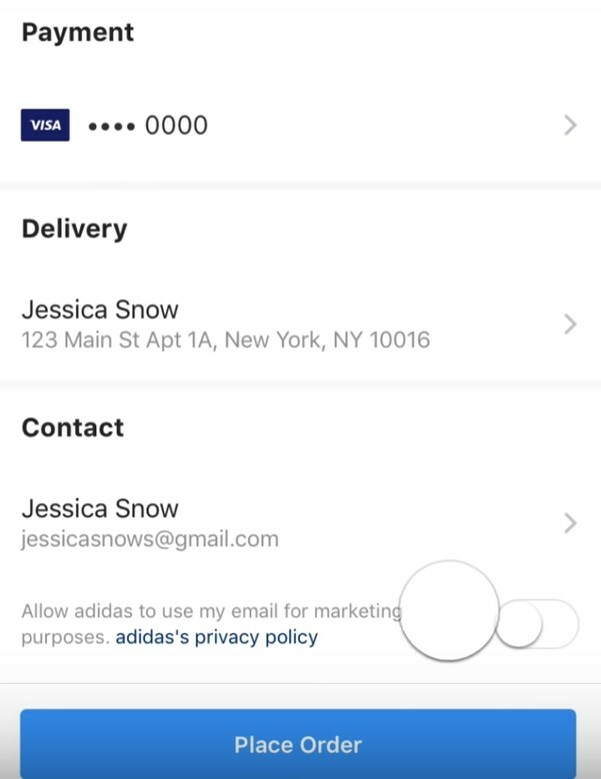 It is already a vital instrument for multiple merchants, but the introduction of checkout capabilities within the app is a real game changer. 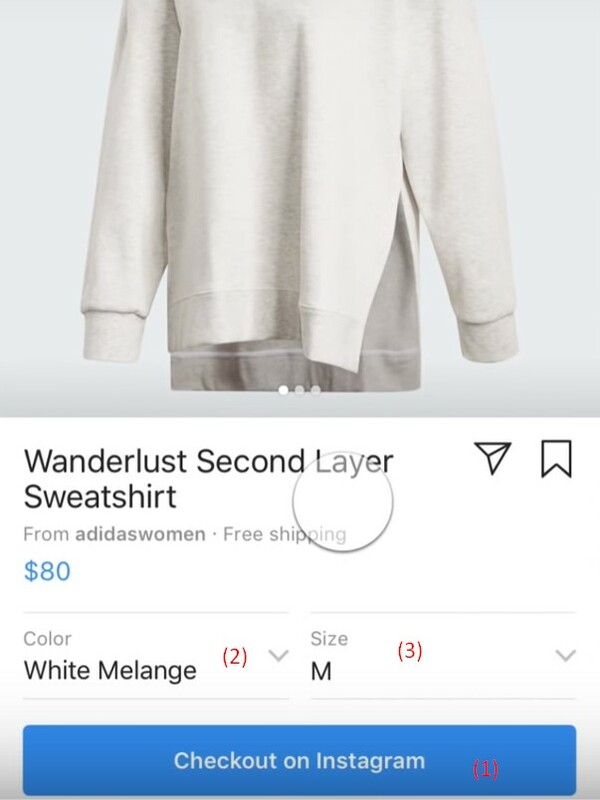 From the perspective of merchants, the Instagram checkout is also a find. Since customers no longer need to enter their contact, payment, and shipping details, the cart abandonment rate can be dramatically decreased. Now, users are often frustrated with having to sign up with each different brand; it leads to such high rates. With the ability to purchase everything in one place without specifying any information except product options, buyers will leave orders uncompleted much rarely. 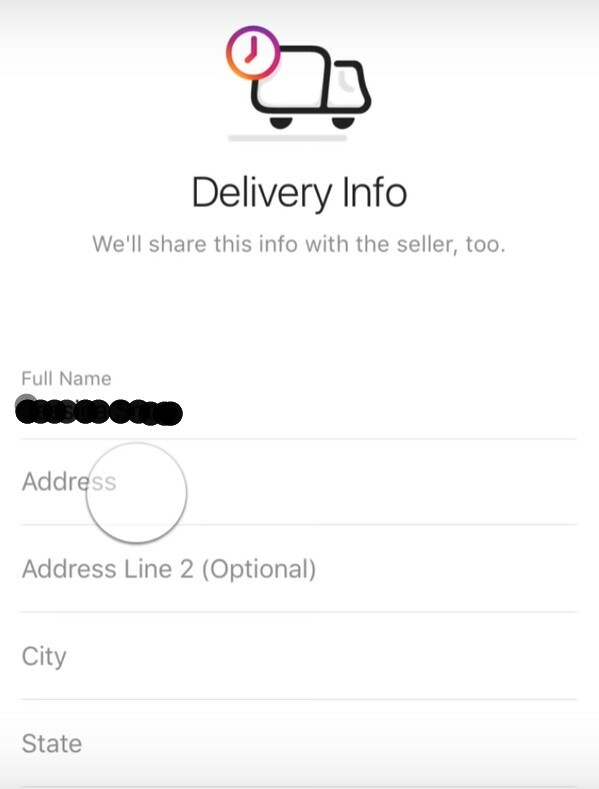 As a buyer, you also get a new section within the app – “Orders.” It lets you track purchases, view order statuses, cancel orders, initiate a return, as well as contact the merchant. And you will never forget about your order since the app sends a notification when it ships. It is also worth mentioning that receipts are not represented as a part of messaging like in the case of Facebook. As a merchant, you are provided with all the details necessary to fulfill an order. It means that you have to do everything manually, which is not very cool. And you get a little less data than if a purchase happens on your website. But Instagram claims to provide additional info separately. It means that you will also have to synchronize this data manually. Luckily, there is a true time-saver described below. The new experience is based on PayPal for Partners – one of the latest full-stack processing offers. Its functionality suits best the demands of Instagram, allowing the popular social network to manage the end-to-end commerce experience for both buyers and sellers. In addition to PayPal, users can streamline Visa, Mastercard, American Express, or Discover. It is also necessary to mention that Instagram has official plans to enable integrations with Shopify, BigCommerce, ChannelAdvisor, CommerceHub, and other tools, but no information is available regarding Magento. Luckily, the Firebear team is always willing to make the Magento ecosystem better. Below, you will discover everything you need to know about the Magento 2 PayPal integration regarding the new Checkout functionality. 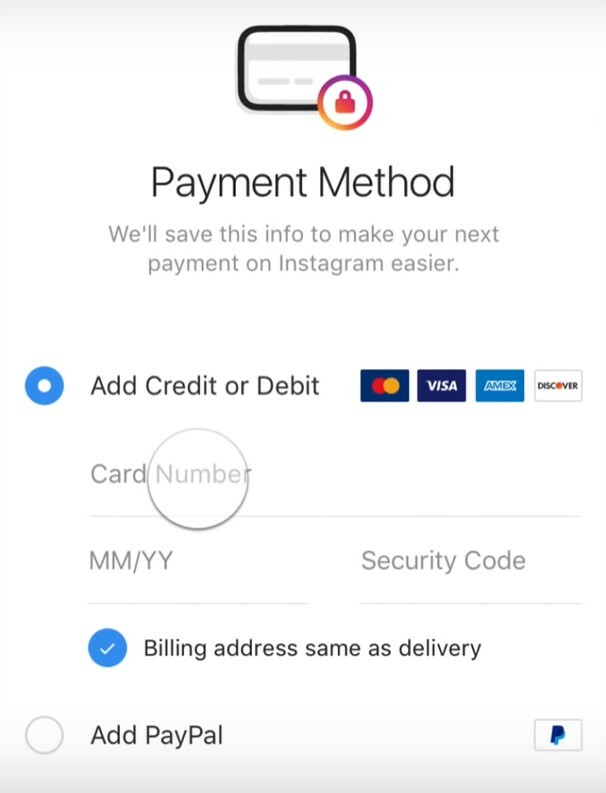 As you might have already guessed, Instagram Checkout is free for buyers, but not for merchants. The platform will charge a selling fee, which won’t change the price of items for consumers. The cost will cover PayPal’s fees and fund various programs and products. It seems that offloading all the responsibilities for the new functionality onto merchants is the right decision because they get an entirely new e-commerce instrument built within the existing channel that dramatically increase conversion eliminating multiple inconveniences buyers usually face. No exact numbers are available right now, but we don’t think that the selling fee is too high. So, how can you test the new functionality right now? There are two requirements. First of all, you should buy products in the US. The feature is currently available in this country only. But we believe that soon it will be rolled out to every app all over the world. The second requirement is related to brands you can purchase from. Since the Instagram Checkout is in closed beta, it is provided to a limited number of partners only. Thus, US customers can buy goods by Adidas, Burberry, Dior, H&M, Nike, Prada, Zara, and about a dozen more brands. A wider range of companies will be provided in the nearest future. Now, let’s see some pros and cons of Instagram Checkout for both buyers and merchants. 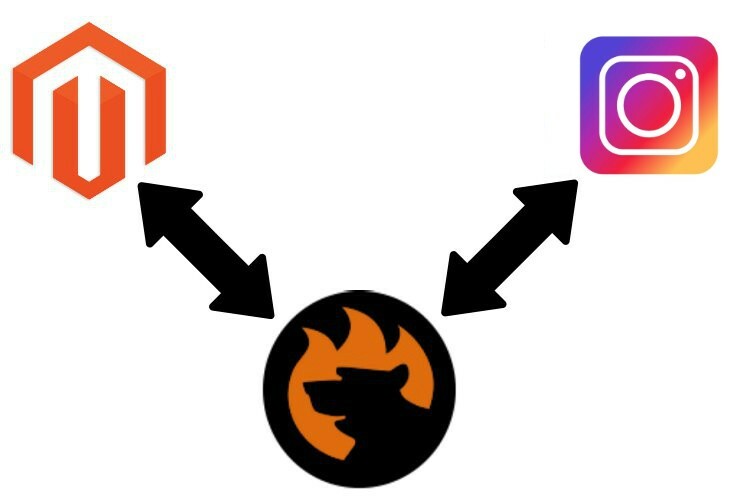 While we cannot help you with fees, marketing tools, and a limited amount of information, the Firebear team has prepared something useful in terms of the Magento 2 Instagram data exchanges. Let’s see how we simplify the procedure. When the Instagram Checkout API is available, the Improved Import & Export extension will support the complete integration of the two platforms. Our module will help you synchronize product data between Magento 2 and Instagram. Furthermore, you will easily transfer order information to your e-commerce store, where it should be processed and stored. Thus, the Improved Import & Export extension will enable you to transfer the already existing catalog from Magento 2 to Instagram to fill the new sales channel within just a few clicks. Moreover, if you are a small merchant who sells via Instagram only, but the social network isn’t enough for your rapidly growing business, the Improved Import & Export extension will effortlessly transfer all your existing products from Instagram to Magento 2. Also, note that data transfers of orders and products can be fully automated. We describe the functionality of our module in more detail below to illustrate the possibilities related to the Magento 2 Instagram integration. If you have any questions, follow the link below and contact our support – we will provide you with all the necessary information regarding the Magento 2 Instagram integration. Multiple features of Improved Import & Export help to simplify and automate the Magento 2 Instagram integration. First of all, you get automated data transfers. To effortlessly synchronize the flow of products and orders between Magento 2 and Instagram, our extension lets you use schedules and event-based triggers. For instance, you can create a new product in Magento, and it will be transferred to Instagram automatically. Follow the link below for more details: How to Run Magento 2 Import or Export After Specific System Event or Process. You should map Instagram attributes to ones used in Magento 2 to automate data transfers to your e-commerce website. If you don’t do that, you won’t import any data to Magento 2. Furthermore, you won’t be able to provide your Instagram store with products if their attributes are not matched to ones used in Magento 2. If you use the default import/export instruments, it is necessary to transfer and edit all data manually. This procedure takes lots of time and effort because you apply changes in a file editor repeating the same actions every time a new update is required. As for the Improved Import & Export Magento 2 extension, it radically simplifies the integration of Instagram and Magento 2 in terms of both attributes and their values. Use our module to solve the problem of different attribute standards without headaches and enable the Magento 2 Instagram integration in the most intuitive way with mapping presets – predefined mapping schemes. Designed to eliminate manual attributes matching, they allow seamless transfers of products between Magento 2 and Instagram as well as orders to your website. As for the “Default Value” column, it plays an important role in attribute values matching when you transfer products or orders from Instagram. The column is designed for values, which are provided to all items of a corresponding attribute. Thus, you can transfer product data from your Instagram store replacing its categories with a specified one utilized in a Magento 2 catalog. Type a hardcoded value containing a new store view for the “_store” attribute, and the Improved Import & Export extension will replace the third-party catalog elements with the chosen one. To simplify and automate the Magento 2 Instagram integration, the Improved Import & Export Magento 2 extension offers a separate interface for attribute values mapping. Thus, external designations will no longer interrupt data transfers between the two systems. Сhoose an external value from Instagram and specify the internal one from Magento 2 as a replacement while configuring an import profile. Repeat the procedure until all third-party designations are mapped to ones utilized on your website. Note that the created schemes will be saved and applied for further updates. For details, read this article: Attribute Values Mapping. 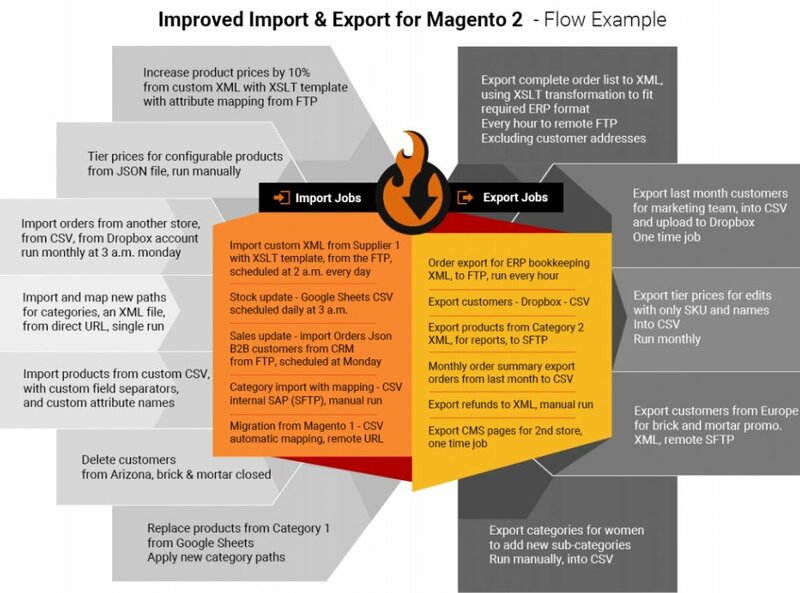 The Improved Import & export Magento 2 extension lets you combine them and create conditions increasing the efficiency of the applied changes. For further information, follow this link: How to Modify Attribute Values During Import and Export in Magento 2. It is also possible to create a brand new category in the import job. Choose a parent category and specify a new one – our extension will generate it automatically linking products to it during the import process. If your Magento 2 website doesn’t include a category from an external system, it’s no longer a problem. You can find more information about the feature in this article: Category Mapping. The extended connectivity options of Improved Import & Export enable the Magento 2 Instagram integration. Since our extension supports API connections, you can freely integrate the two systems, but let’s say a few words about other opportunities provided by the module. The integration of Magento 2 and other platforms on the basis of the Improved Import & Export extension can be performed via XML, JSON, ODS, and Excel files. Note that they can be compressed. Our plugin will effortlessly unpack them automatically. As for the default Magento tools, they work with uncompressed CSV files only! As a result, you cannot eliminate multiple procedures including the necessity to unpack archives and convert data files into CSV. FTP/SFTP. Transfer data files vis a local or remote server. Now, we’d like to draw your attention to features that enable the Magento 2 Instagram integration. The alternative ways of import and export include direct API connections and intermediary services. Note that they are not represented in Magento 2 by default. As for connecting Magento 2 to Instagram, the Improved Import & Export extension provides the ability to leverage APIs. Our module supports REST, SOAP, and GraphQL standards. All API connections are fully compatible with the extension’s features, so you can streamline mapping, schedules, and attributes on the fly while transferring data via API between Magento 2 and Instagram.